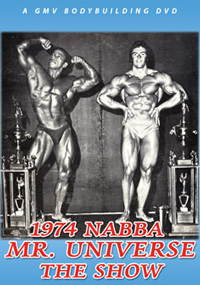 Several years ago my old friend Lou Ferrigno contacted me to see if I had film (video) of him competing in the 1973 IFBB Mr. Universe held in Geneva, Switzerland. In deed I do! 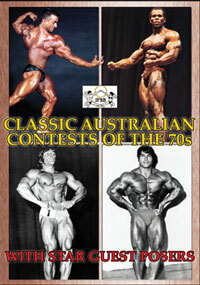 Lou won this event taking his class and then the Overall title beating such '70s stars as Mike Katz, Ken Waller, Al Beckles and Giuseppe Deiana. I feel that this was possibly the best Lou ever looked in amateur competition. 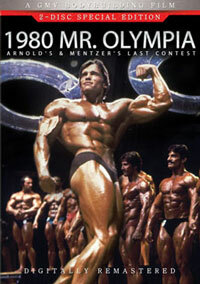 He truly dominated and took the overall Mr. Universe title that day in grand style. 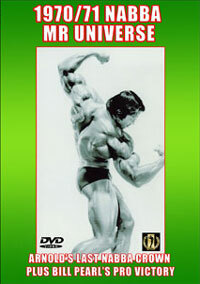 The DVD consists of 33 minutes of Prejudging followed by 60 minutes of the evening Finals, pose down and awards. 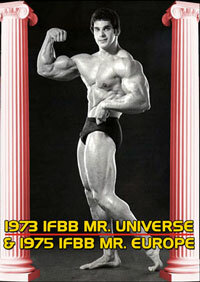 A total of 93 historic minutes from the 1973 IFBB Mr Universe. 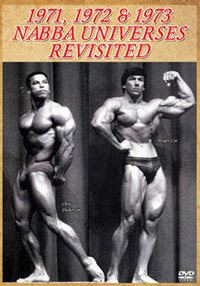 See more of Lou Ferrigno and other top names from the mid '70s in PUMPING IRON. I took the colour photo of PETER STACH on the rear cover, above, at the time I shot this film footage. See extra description below. 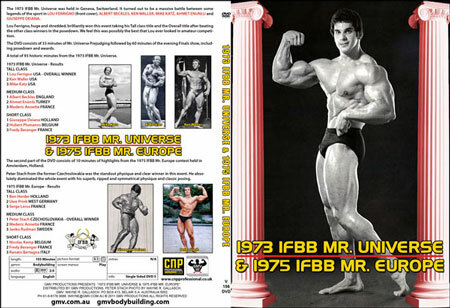 The last 10 minutes of the DVD consists of highlights from the 1975 IFBB Mr. Europe contest held in Amsterdam, Holland. 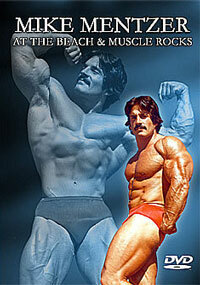 Peter Stach from the former Czechoslovakia was the standout physique in this event. 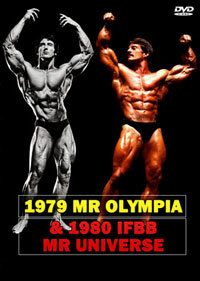 He absolutely dominated the whole contest with his superb, ripped and symmetrical physique and classic posing.